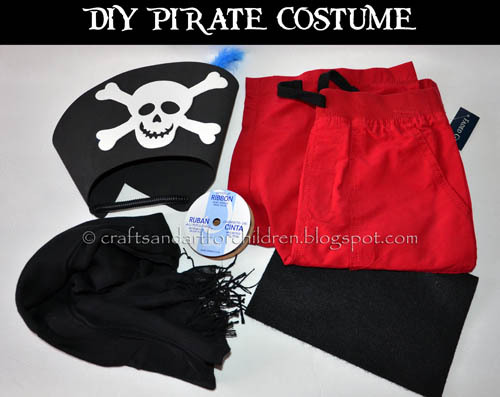 Pirates seem to be one of the go-to themes for children’s costumes. Whether for Halloween, fancy dress parties, or world book day – a pirate outfit always seems to fit the bill! 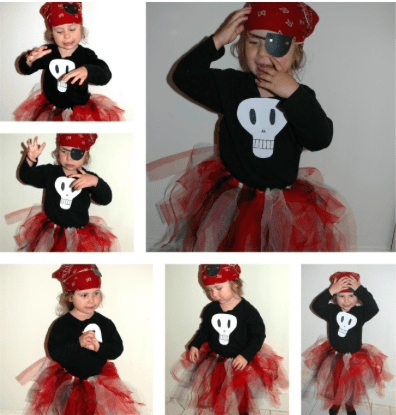 Pirates work well for all ages, and can be made girly as well as boyish – it’s such a versatile theme. 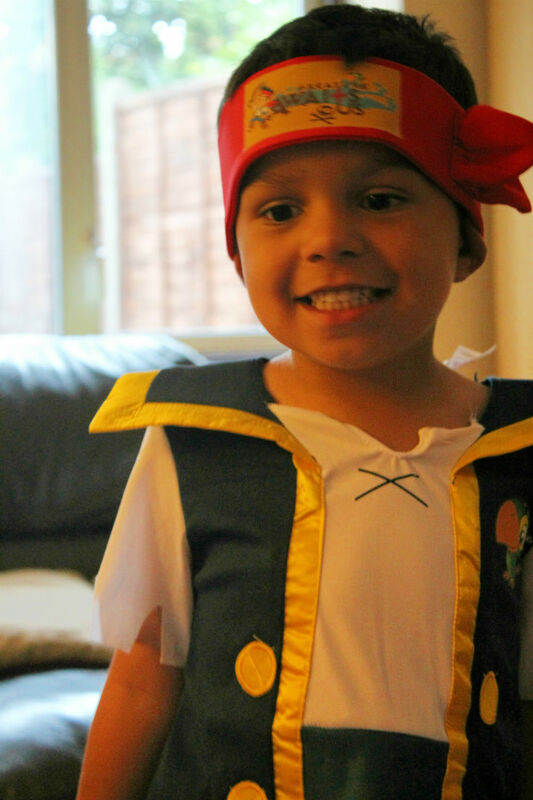 We recently had a Jake and the Neverland Pirate party and Mr T and Mr R loved dressing up in their Jake pirate costumes. In fact, Mr T has worn his pirates head band most days since then! As well as being lots of fun, playing dress-up is great for children’s development so it’s a great idea to keep costumes available all year round. Through socio-dramatic play children are learning social skills and negotiation with one another, and by playing out imaginary roles it can help them to make sense of the world around them and process things they have seen or heard. It can allow them to extend their play from what they have read in books or watched in children’s TV shows, and to let their imagination run wild! I love to see my boys playing imaginary games together and pirates is always a favourite choice. Pirates have such a timeless appeal as I fondly remember going to pirate themed parties as a child too! 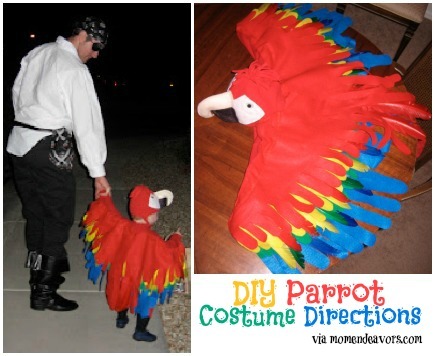 Or why not dress one child as a pirate and one as a parrot with this DIY parrot costume from Mom Endeavors. How cool! Oooh, that tutu costume is super cute! Carla recently posted…Edible Pumpkin Play Dough! Good ideas. Kids do like to dress up. I had initially been surprised to hear that a friend’s two boys had a dress up box, and had such fun using it. Acting, drama and imagination is suitable for all. Nice to know the Imagination box is used and loved. Love the idea of child dressed as parrot, with adult as pirate. Intergenerational. My son loved dressing as a pirate for World Book Day character assembly. So easy to assemble and so many styles to choose from. 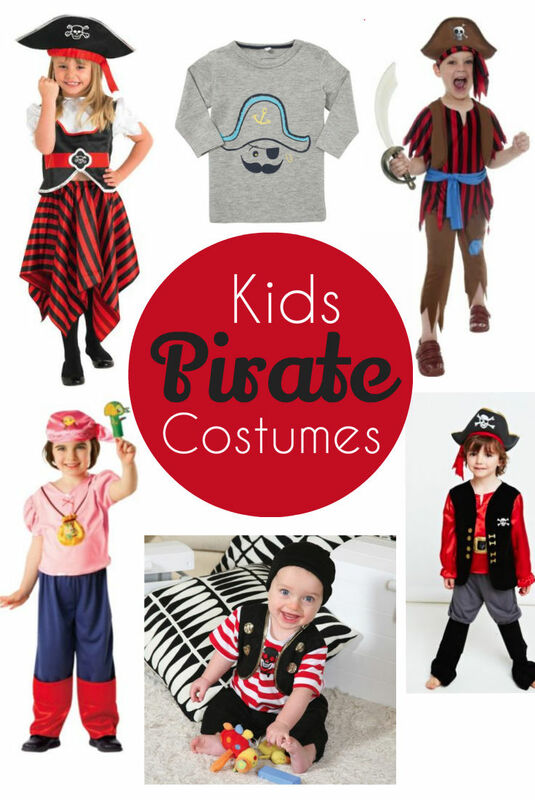 What fun costumes for Pirate Day or Halloween!